The Ancient Egyptians and Greeks were well aware about the benefits of honey. Our ancestors used it for medicine purpose and it is considered one of oldest wound healer. Cleopatra used it together with milk in her beauty skin treatments. I do not think I should search more in the history to be convinced that honey is an amazing product for skin. 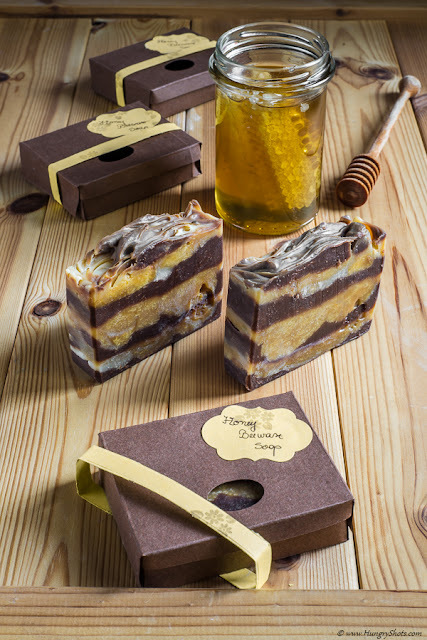 Using it as an ingredient in soap in combination with beeswax can only make wonders. Rosemary is one of those plants that you can find everywhere. You find it dried or fresh in the supermarket or in private gardens as a herb to use with your dishes. You even find it as a decorative plant. Its smell is, although very popular, amazingly fresh and strong all the time. Rosemary is well known to ease your stress, to help increasing your focus, or to help with cough, cold and flu. It is also a mosquito repellent. On the skin, it has anti-aging and anti-inflammatory properties, gives you a natural glowing skin and reduces blemishes. 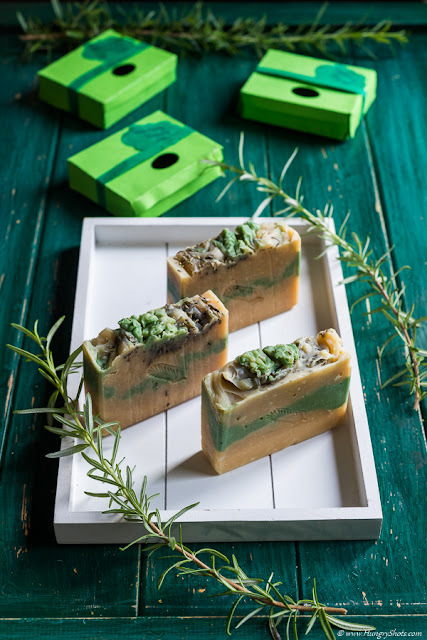 As I like the smell of rosemary so much I created a dedicated soap for it. In one soap, I have combined all these amazing health benefits with an unmistakable scent.